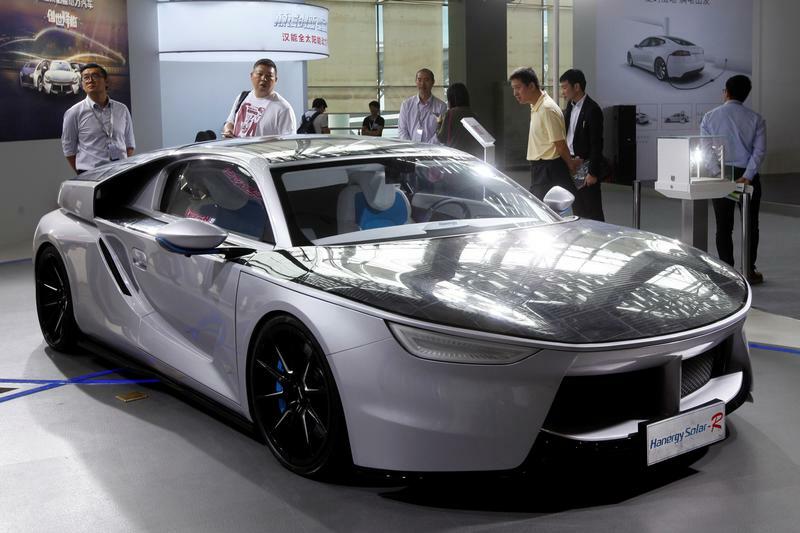 A Hanergy Solar-R solar car is shown at China (Guangzhou) International Automobile Exhibition in Guangzhou, China November 18, 2016. Hanergy Mobile Energy, controlled by Hanergy Thin Film Power’s former chairman Li Hejun, has put forward a proposal that shareholders of Hong Kong-listed Hanergy Thin Film Power swap their stock for shares in a special purpose vehicle, according to a filing to the Hong Kong Stock Exchange on Feb. 26. The purpose of the SPV is to facilitate a future listing on a mainland Chinese exchange. The filing acknowledges that there is no guarantee the listing can be achieved. Shareholders can vote against the proposal. However, trading in the shares has been suspended since May 2015. If trade does not resume before the end of July 2015, the company faces delisting. Hanergy Thin Film, which makes equipment used to manufacture solar panels, has been under investigation by Hong Kong’s Securities and Futures Commission over conflicts of interest and other matters. Its former chairman, Li, was disqualified from being a director or involvement in the management of any listed or unlisted company in Hong Kong for eight years. Shares of Hanergy Thin Film last traded at HK$3.91, but over-the-counter transactions after they were frozen were priced lower. The company lost about nearly half its market value, or some $19 billion, in less than an hour in May 2015 when its shares crashed following concerns about its rapid growth and business model.